It’s that time of the week for joining 15andmeowing and four-legged furballs again on their blog hop. Don’t forget to let us know your answers if you don’t take part in the hop. 1. I have _________ for _________. Laser: I have a mean right hook for McLaren if he chases me up the stairs. McLaren: I have a baby face for Mummy to gives me more tweats. 2. _________ make me _________. 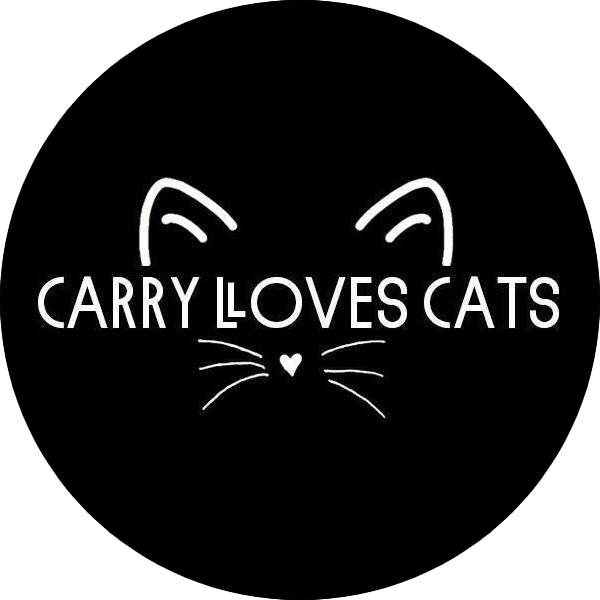 Carry: My cats make me happy. Laser: Regular brushes make me less likely to honk up a fur ball. McLaren: Sweetie wrappers make me go crazy for a while. Carry: I’m surprised that I have managed to write blogs everyday for almost the past month! Laser: I’m surprised that Carry hasn’t got another cat yet. McLaren: I’m surprised that Laser doesn’t meow more. Carry: To make a long story short, is kind of pointless because it usually involves me telling the long version anyway as I tend to waffle. Laser: To make a long story short, you have to cut out the boring bits. McLaren: To make a long story short, is a good thing because then we have time for tweats and naps. I just had to share this video with you to finish todays blog off. It’s best watched with sound and keep watching right until the end! You’ll see why you need the sound then! Y’all sure did a great job with those fill in answers! Laser, how could you have even mentioned another cat? She’s going to do it, you know it! Great answers, all three of you! What’s funny to me about “make a long story short” is that usually people say that after they’ve already told the long part. I enjoyed the video, especially since the surprise ending. Haha, that is very true! I can’t live without my BuJo now. If I ever forget to take it to work, I get absolutely nothing done! Great answers, all of you! Our kitties make me happy, too. I’ve heard of bullet journaling, but I really don’t know what it is or how I would do it. I hope you all get the tweats and naps you want. Have a blessed weekend! Bullet Journal is kind of like an organiser, but it just an empty notepad at the start, so you fill in all the bits and set up calendars yourself. I find it quite useful as it means, I can set it up to suit my needs rather than having too much or not enough space! Thanks for explaining more about this to me. It sounds like an interesting way to journal. I love journals, although I haven’t been too good about writing in mine lately. I think I love you, Laser. Love the video, especially McLaren popping out at the end! 😀 it was so adorable when he appeared and came running when I asked where he was. I am not capable of making a long story short. It just ain’t happening. Have a blessed week. Thank you for joining in on the Friendly Fill-Ins! I don’t have a true bullet journal, but I recently started keeping a makeshift planner in which I doodle spreads for each week, and I’m loving it for both planning and memory keeping purposes. McLaren, around here Evan’s always wondering why the other kitties in the house don’t meow more. When you meow, you get attention! And we loved the adorable video of you two! My bullet journal is similar. I’m not that good at fancy spreads like some artistic people do, but it suits my needs.